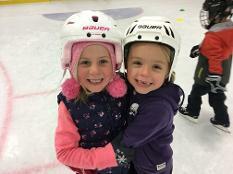 This program is for skaters who have had some experience on the ice. Canskate offers more advanced skating instruction taught in group lesson format by Skate Canada professional coaches who are assisted by trained program assistants. Canskate is the foundation and feeder program for all other Skate Canada programs. 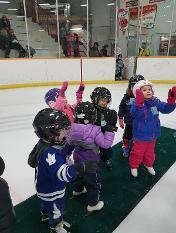 The Canskater's learning environment is enhanced through fun, music, colourful teaching aids and props, along with praise and group and individual feedback from coaches. All skaters must wear a CSA approved hockey helmet. Click HERE for more information about skills being taught. 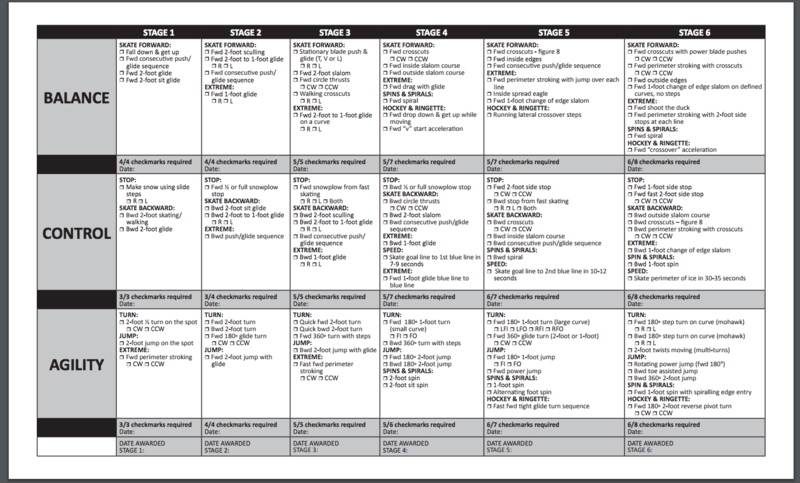 This Learn to Train stage of the Long Term Athlete Development (LTAD) model introduces more complex skills and has a wide variety of on and off ice programming based on an athletes desired pathway and commitment to figure skating. The Skate Canada STAR 1-5 program is the basis for technical skill building at this early stage of development. This program is for skaters working on completing Stage 6, achieving levels from Star 1-3 in the discipline of Skills, Dance and Freeskate. Click HERE to view more information about the skills your skater will be learning. The StarSKATE Bronze session offers 7 group lessons per week (a value of $94) by Skate Canada professional coaches, but all skaters have the option of private or semi-private lessons if extra help is required. 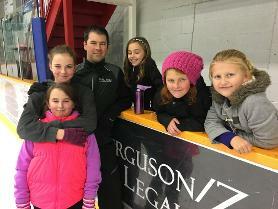 Skaters that wish to participate in Performance Days, area competitions and test day events may require extra coaching to meet goals. Meet our amazing COACHES. Skaters on this session do not require a helmet. 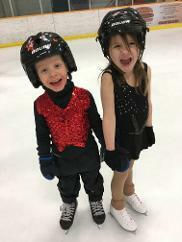 NEW THIS SEASON * STARSkate Bronze and STARSkate Silver will share a stroking lesson with Coach Karen 8:10am - 8:25 every Saturday morning. This program is for skaters working on Star 3 Freeskate, Star 4/5 Dance (Swing, Fiesta, Willow, 10Fox, 14Step & European) and Senior Bronze Skills. 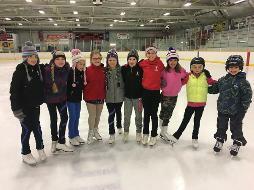 The STARSkate Silver session offers 8 group lessons a week (a value of $108) taught by Skate Canada professional coaches. 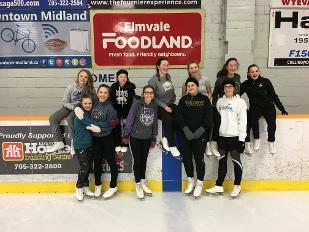 Skaters who wish to participate in Performance days, Area Competitions and test days are encouraged to book private, semi-private or group lessons with a coach or coaches of your choice. The STARSkate Gold program is for our most advanced skaters, with some athletes making the move into the competitive skate stream. This program is for skaters working on completion of their Junior Silver to Gold dances, skills and freeskate. NEW THIS SEASON * Our Gold session now offers an extra group lesson on Monday with Skate Canada professional coaches (rotating between all disciplines and coaches) and will continue to provide a 15 minute group stroking lesson on Thursday (a value of $27 weekly) Skaters are encouraged to use their remaining time for freelance lessons and independent training. Spring, Summer or Fall. Please contact Jan Hulme.